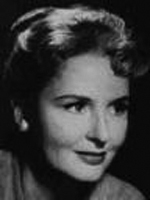 Marie Cheatham appeared in many TV soaps including Days of Our Lives, General Hospital, and Search for Tomorrow. 03/15/1976 0448 The Aliens Two secret agents from opposing nations are drawn to each other by something called psychic communication-- a classified project both their governments are developing. Fearing for mankind's future, they work together to try and stop the dangerous experiments that are intricately linked to the possible destruction of the world.